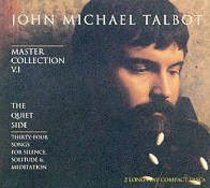 John Michael Talbots double CD features the meditative songs of this talentedpoet. From Sparrow. About "Master Collection The-The Quiet Side"